Change your profile picture on Facebook to with the image posted below. 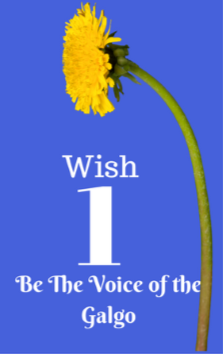 Let people know you are the voice of the galgo. Ask your friends and family to join in and help spread the word. Join the Million Paw March for Justice on Facebook. You know what they say about strength in numbers. Be part of this virtual growing march and let the galgos and their volunteers know you are marching for them. Follow along with stories and information about galgos around the world and feel free to share your stories as well. Start a conversation. At The Green Hound, we designed our products in a way that would encourage conversation making it easier to spread the word. Wear your favorite galgo adoption group t-shirt or piece of galgo jewelry. 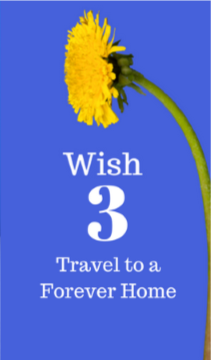 Share a photo on Facebook, Instagram or Twitter that speaks to your heart and ask others to share. 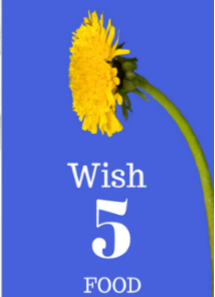 The more people we talk to, the more people become aware which leads to more support and wishes that can be granted. While local galgo adoption groups happily accept donations of coats, it can also create some problems. Many groups simply don’t fly to Spain often enough to deliver the goods. Shipping goods overseas is expensive and sometimes the rescues get hit with taxes to pay over received goods. Consider a program in the Netherlands that works well (link below) where you can donate 5 euro and Elsbeth makes sponsor coats that are transported all over Spain to several shelters. Also, some shelters have an amazon wishlist. This way you can simply purchase and ship directly. 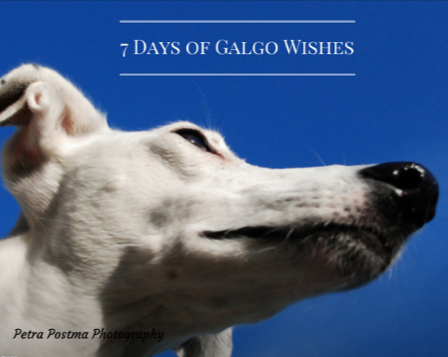 Seven Days and Seven Galgo Wishes! DAY 4! 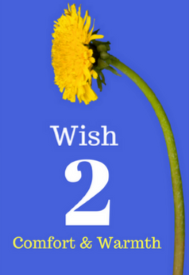 Each day for seven days we will share a wish a day for the galgo on our social media sites along with ways that you can help make that wish come true. 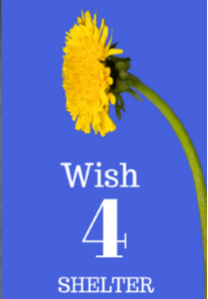 Throughout the campaign, random wishes will be granted and one lucky follower will be the recipient of a basket of wishes full of products from The Green Hound. To play along, simply LIKE, SHARE AND COMMENT with the phrase of the day each day for a chance to WIN! Winner will be drawn at random on Tuesday, February 7th. It can be overwhelming to think about how to care for so many animals in need but we believe, even helping one animal can go a long way. Consider sponsoring an animal at one of the Spanish rescues. Below are two links to such programs in need. ← What’s in Tica’s Closet?